Ken Becks of 1stdownscouting.com/1st down joins me to talk about how each of us evaluates the QB position. 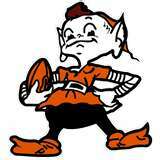 Fred Greetham of Orange & Brown Report joins us to talk about the Browns and the fans reaction to this off season. Tracy Lynn of PIGSKIN Lipstick joins us to talk about how guys can get their ladies more interested in football. Tim Bielik Browns, Indians and Buckeye beat writer for the Loraine Morning Journal joins us to talk about the legal issues that the Bucks have had this off season.